Why Dealerships Aren’t A Good Place To Go For Auto Key Services written by: chelsb2363 Whether you’re at the beginning of your day or the end of your day, figuring out your keys are locked in your car is a very stressful situation. All you’re thinking about is either being late for wherever you need to be or just wanting to go home for the first time of your day. You don’t think about what would be the best way to get your keys out of your car. All you want is them back so you can either start or finish your day. While your first thought may be to go to the car dealership, I’m here to tell you that it might be a bad idea. Don’t get me wrong, its best to go to the dealerships for some things but there are more advantages to going to a auto locksmith than going to a dealership with this. Probably one of the best things about ditching our dealership for a auto locksmith is that an auto locksmith is open all hours of the day. Dealerships are only open business hours. What happens if you lock our keys in your car real early in the morning or past 5:00? Your stuck, stressed, crabby and you’ll have to find a temporary ride until the car dealership opens. An auto locksmith will get to you within the hour. You may think that your dealership knows everything about your car, it really doesn’t. Locksmiths go through courses and know about way more about locks than your dealership will know. How would you rather spend your time? Being stuck at a dealership for potentially hours? Or, have your car keys in your hands with in minutes? Another plus side to a auto locksmith is that they only deal with keys and locks. Car dealerships deal with hundreds, if not thousands of parts a day. Something that dealerships can’t replicate is that auto locksmiths will come to you. They have a mobile service that can help you with everything, therefor you’ll be off on your way much quicker. Most dealerships want you to come to them. 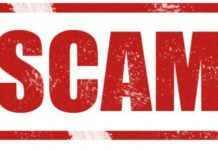 Not only do you have to wait for a tow truck but you also have to pay the tow truck fee and whatever the dealership is going to charge you to get your keys out of your car. If you go to an auto locksmith there is a good chance you won’t have to pay as much. With a dealership you have the added tow fee and who knows what else the dealership may charge you for. Auto Locksmiths only specialize in locks and keys and that’s all you’ll be paying for. Locksmiths aren’t just good for getting keys that are left behind in you’re locked car. 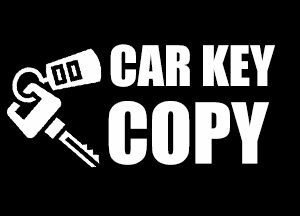 Auto Locksmiths offer much more services such as: car key replacement, key cutting for cars, replacing your remote key, they give you good tips if you lost your keys, repairing your car’s auto-lock mechanism, replacement of switchblade key and activating a chip in a key. 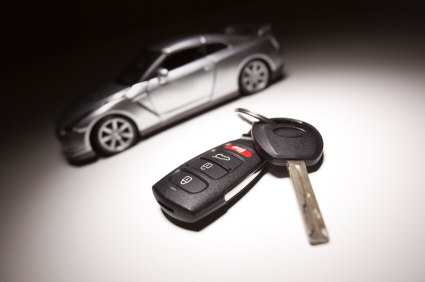 When it comes to car dealerships, they’re a great place to buy cars and having the maintenance getting taken care of but when it comes to the inner locking mechanisms for your car a auto locksmith is a better place to go. Always remember, that when it comes to getting the best service you want to go to a place where you are going to get the best service possible. You should go to a place where the technicions specialize in what they do. An auto locksmith is just that. 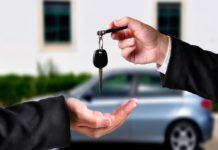 They can not only get to where you need to go faster with them if you lock your keys out of your car, but they offer more services for much friendlier prices then you find at a car dealership. Take care of your car inside and out.